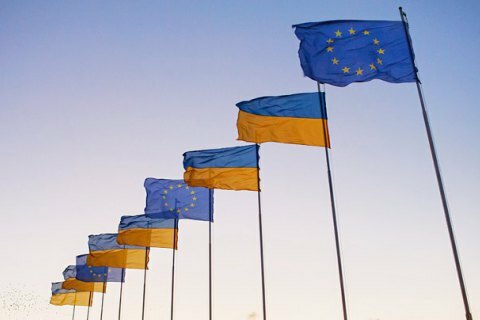 European deputies dismissed two amendments rejecting the visa-free regime for Ukraine. The European Parliament’s Foreign Affairs Committee voted on 7 July to support the recommendations to lift visa requirements on short-term trips of the Ukrainian citizens across the Schengen zone, according to MEP from Poland Jacek Saryush-Wolski. "EP Foreign Affairs Committee has adopted my opinion supporting visa-free travel to EU for citizens of Ukraine,” the MEP tweeted July 7. In his report, the Polish politician called on his colleagues to support this decision with enthusiasm because Ukraine deserves a visa-free regime with the EU. According to Ukrinform, during the voting on the report, the committee members noted that the liberalization of the visa regime for Ukrainians would take place independently of the adoption by the EU of a new mechanism for suspension of visa-free regime for all third countries. "At the same time, MEPs dismissed two amendments to the draft report rejecting the visa-free regime for Ukraine, submitted by the French deputy representing radical right–wing group "Europe of nations and freedom" Jean-Luc Shaffhauzer and an unallied Greek nationalist Georgios Epitideos," the agency reported. The EP Committee on Foreign Affairs has only a supporting role in the approval of the visa-free regime, while the Committee on Civil Liberties and Home Affairs (LIBE) has the final say. The vote of the committee could reportedly take place on 20 July. On 26 May, the rapporteur on Ukraine in the LIBE, Maria Gabriel, did not specify as she announced her work plans on when she intended to submit the report to the European Parliament. She expressed a critical view of migrants from Ukraine. Later, she said that it would not delay the preparation of the report on Ukraine and will raise tough questions in order to remove all questions regarding the advisability of abolishing the visa regime. As previously reported, the EU nations postponed until September the approval of the decision to granting visa-free regime for Ukraine, Georgia and Kosovo.